Planning an estate by yourself may be difficult and expensive. And the list never ends: heir eligibility, state taxes, government, probate courts, inequitable appraisals, health care matters, life insurance, IRA’s, 401K’s, annuities, funeral and burial costs, and intent concerning death-postponing treatment to mention only some. Having insufficient knowledge of your financial or legal rights often results in being more expensive to you in the long run. Thinking about estate planning often presents more questions than answers: Is an heir be old enough to inherit? What is the proper age to receive an inheritance? Is the proposed beneficiary in a questionable marriage with potential divorce as a pending? Do you have children from an earlier marriage? Should inheritance be safeguarded from would-be creditors of the heir? Are there taxes that can be circumvented? Are you able to avert the probate court expenses, delays, and regulations? Planning the affairs your estate when you’ve passed can seem overwhelming and frustrating without qualified assistance. You may thank that it’s too early to be concerned with estate planning. Or maybe impending death makes you uneasy. You may convince yourself set the entire subject aside, presuming that it will just fall into place on its own. In every situation, estate planning eventually saves your family a significant amount of heartache, time and finances. And we can support and assist you. Each estate planning circumstance is unique. For your benefit, we want to learn about your specific situation, and the makeup of your relationships. We provide discussion, advice and valuable research tools to make your plans easier, effective, and less worrisome. We are accessible throughout the process for future discussion concerning questions, changing situations, and other options. At every stage, we’ll be at your side. Clearly identify your estate planning goals. 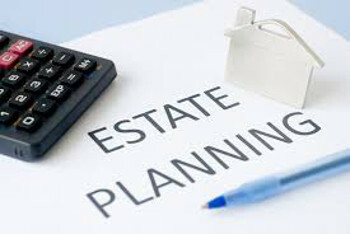 Prepare and develop your estate planning team (law, finance, and tax professionals) if one is necessary. Review and recommend estate planning alternatives. Arrange, organize and evaluate your estate planning paperwork including existing wills, power of attorney, trusts, and health needs. Reduce expenses and problems relating to probate. Decrease taxes at time of death. Develop a working plan for preserving and efficiently handling your estate after death. Assign the assets of your estate to heirs the way you would like. Establish adequate and reasonable liquidation of estate to finance taxes and other expenses. Revise your plan as necessary. Lifetime of Family Wealth Transfers. Family partnerships and other business associations. Groundwork for estate and trust tax problems. The aggravations and red tape connected to estate planning can be intimidating, but you don’t have to do it on your own. Our team is on deck to help you through every phase of the process.